Details: Do not start by SlipStreaming the doses in the Journey pack as each one is a singular introspective powerful mind-trip. 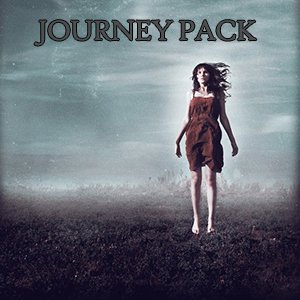 Go on a trippy spiritual and metaphysical deep-thought journey as your explore Space, the Spiritual Realm, or Multi-Dimensional and Time Travel. Once a seasoned spiritual traveler, begin to combine these (no more than two) to create truly time-warping experiences like Multi-Dimensional Virtual Time Travel that can be both unpredictable and enthralling. Why stay within your physical self, go on a journey.